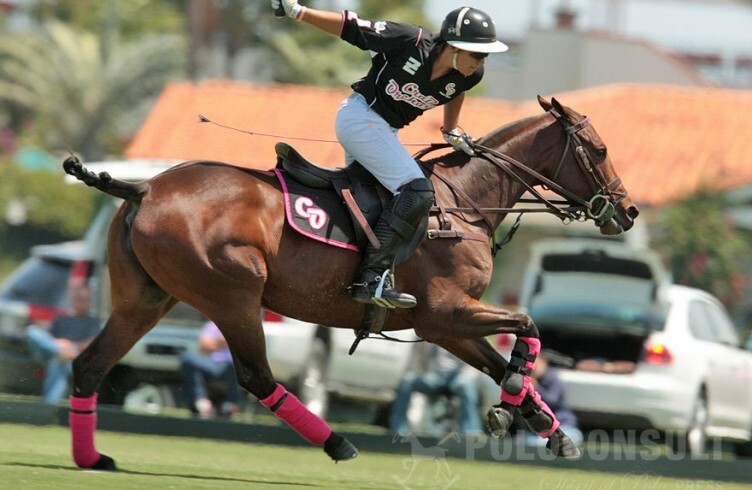 As usual in Polo, the Equipment of the Polo pony is entirely thought to protect the horse and the player from any injury. 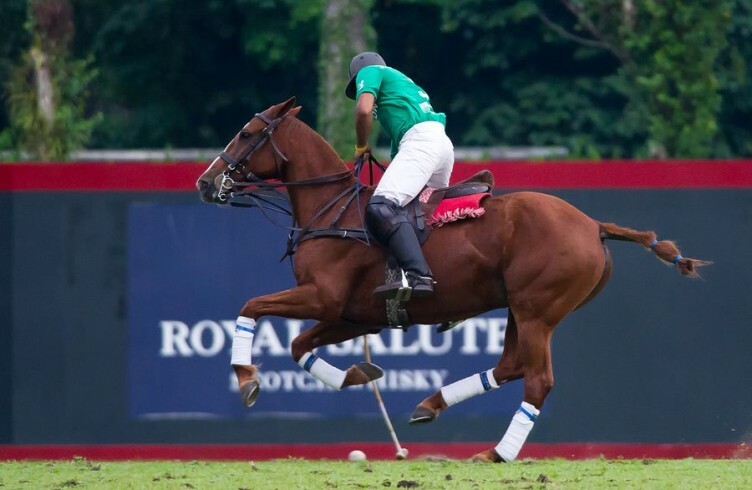 It is very important to keep the Polo equipment in the best possible shape because any equipment breaking during a game can have extremely negative consequences. 1. BRIDLE: English bridle with a cavesson or a noseband that is generally not tightly fitted and sometimes replaced or complemented by a drop rope noseband. 2. 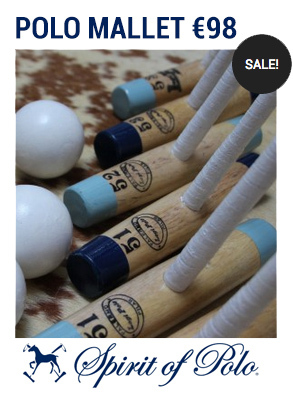 BIT: Only two types of bits are authorized polo: The Pelham and the Gag. These bits can be more or less severe depending on their thickness and for the Pelham on the length of the bars. They may also include ‘tongue toys’ that help young horses to relax. 4. MARTINGALE: the fixed martingale prevents the horse from carrying its head too up. The martingale is fixed to the noseband and the girth between the horse’s legs. 5. BREASTPLATE: The breatsplate prevents the saddle from sliding back on the horse’s back. 6. GIRTH: the girth fixes the saddle on the horse’s back. 7. OVER GIRTH: the over girth secures the saddle’s position and prevents the saddle from moving during the quick accelerations, breaks and direction changes. 8. SADDLE PAD: Not mandatory. It can be put to protect the horse’s back and to protect the saddle from the horse’s sweat. 9. BANDAGES: Protect the horses legs from external and internal injuries by forming an outer barrier and heating up the ligaments. They are sometimes completed by jumping protections for a stronger action. 10. STIRRUPS: Australian large stirrups give a better balance to the player. 11. MANE: Clipped to avoid mallets getting stuck in it. 12. TAIL: Braided to avoid mallets getting stuck in it. Sometimes the breastplate, the noseband, the girth or the martingale are covered in a sheep skin. This is meant to protect the horse from injuries due to friction between the leather and the horse’s skin. 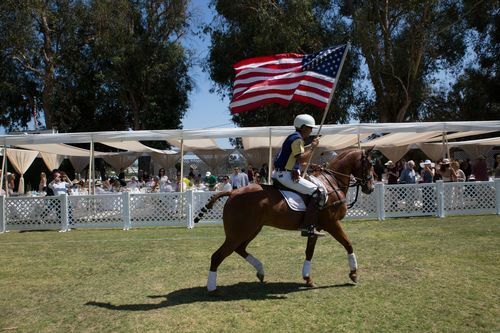 Silvester Stallone: Rocky plays Polo!